Very nice indeed. Enjoy in the best of health & welcome. Nice looking bike rockenrolla. Those chain stays look very short and racy! Cheers guys! Yeah the chainstays are pretty short - 410, just enough clearance for 25C. Yeah I saw they got some pretty sick deals on ebay, I needed an extra large frame though so I ordered one in custom geometry. A custom road race machine that was built for Adam Whitehead in UK. Intrigued to see more of that fork. Probably one of the most interesting projects we had a chance to work on in the 20+ years of experience. 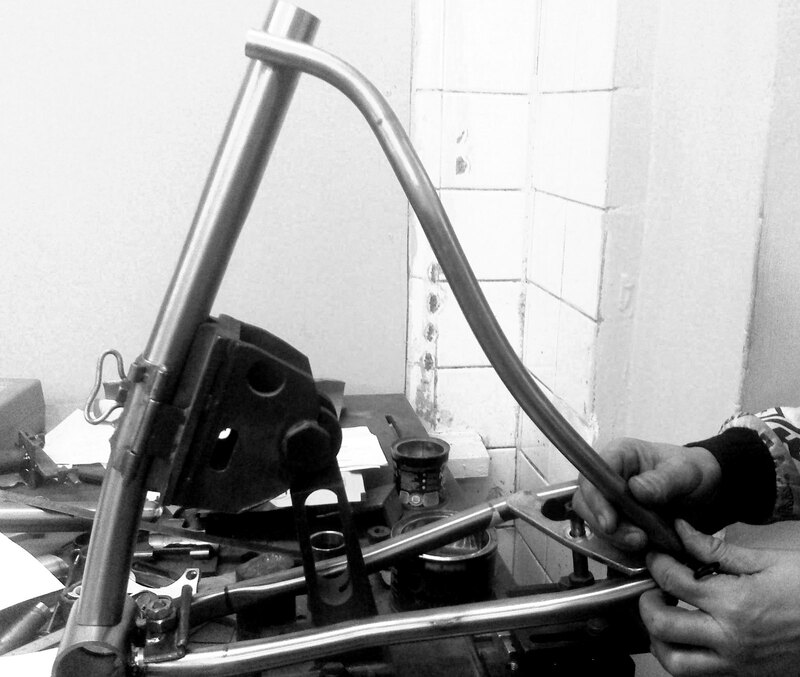 Building a trike for Jay LaPointe was challenging, but definitely fun. Some friendly advice - don't put Lynskey or Moots or any other brand name in your eBay listing titles. Makes it look like you're posing as one of those more well known brands. Thanks for the advice. Let's talk custom builds, such as the one below ;) You can also view it in flesh in Edinburgh at Gamma Transport Division workshop. I am not impressed with your welding. It does not compare to American made frame such as Moots or firefly. You say this as your SECOND post on VS? Yes, this is my opinion. Good point, David, this is somehow exactly what I thought, but you know what, let him be. I really do not understand why some people want to spread hatred. The fact is there is nothing but love and respect me and my father feel for other artisan framebuilders around the world. I do not think any of us are competitors. We are all in the same place of trying to compete and concur huge corporations and their mass produced products. Also, I think anyone with a pair of eyes will be able to make a fair judgement on our welds and the quality of our products. Having said that here's another custom built frame for one of our UK customers. This time with smooth hand finished welds and mirror hand polished finish. Great to see you here representing another titanium frame shop ! can i ask, were do you source your tubbing and also do you do your own shaping and butting ? 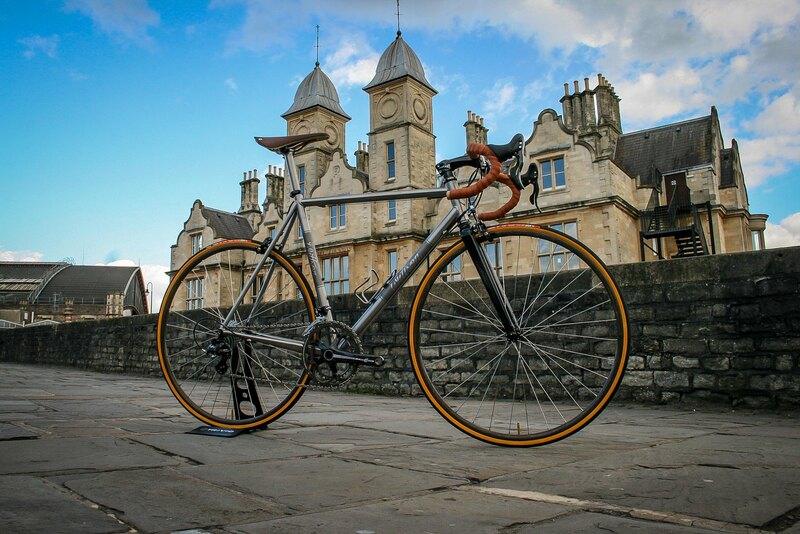 i would like to build a frame in titanium aiming to build lighter than what i have build so far in steel. We source our 3/2.5 titanium from a Swedish company called VSMPO Titan Scandinavia, which is one of the main titanium suppliers worldwide. All the tubes that we use are seamless cold-worked and stress-relieved. The wall thickness of the tubes is 0.9mm and it is custom-butted in house. What is the weight you are aiming for? its not so much im aiming for a certain weight, but more wondering how much lighter one would be able to build in ti. i think there is a big advantage with steel tubbing in the sence that there are manny different butted tubes availible where there isnt som much for titanium. the road frame i build was made out of columbus and true temper tubes38-31.8-28.6 (dt-tt-st) 62 c/t seat tube and 58 ct top tube with a 20 cm headtube and that came in at 1600 gram, i was really happy with that, bike ride likes a dream but it only comes natural to wonder if it could be improved ?